Tata Zica was officially launched today at a media only event at Goa. The car gets new petrol and diesel engine. Tata Zica is the most talked about car these days. Thanks to Tata Motors’ extensive marketing campaign starring the company’s new Global Brand Ambassador, Lionel Messi, it is the most awaited car. The wait is over. The hatchback was officially launched today at a media only event at Goa. We are glad to know that all the features expected by us have turned up. AutoColumn earlier today reported that the car will be powered by new engine options. The new Zica is powered by the same spec engines. It will be offered with a petrol as well as diesel engine. The petrol 1.2-liter (1199cc), 3-cylinder, non-turbo version of the Revotron family will produce a max power of 85 PS at 6,000 RPM and 114 NM of peak torque at 3,500 RPM. The diesel motor will be a completely new 1.05-liter (1047cc), 3-cylinder engine which will produce max power of 70 PS at 4,000 RPM and 140 NM of torque between 1800-3000 RPM. The newly developed diesel family will be called as the Revotorq. Both the engines are used for the first time on the Zica. These engines will primarily be mated on a 5-speed Manual Gearbox. However, an AMT variant will be launched at a later date. Just like the Zest/Bolt cousins, these engines will be offered with a multi drive system. This system will enable the driver to drive in Eco or City mode. The petrol engine is expected to deliver a 20 kmpl mileage and the diesel will deliver a 25 kmpl. The new Tata Zica measures 3,746 mm in length, 1,647 mm in width, 1,535 mm in height and has a wheelbase of 2,400 mm. The car rides on 175/65 R14 tubeless tyres and provides a ground clearance of 170 mm with a boot capacity of 242 liters. 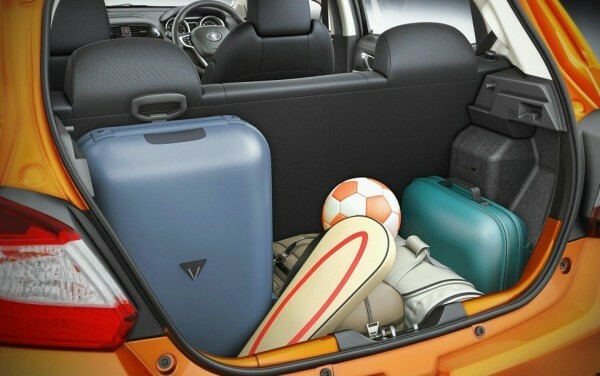 The car’s fuel tank can store 35 liters. The petrol variant weighs 1012 kg while the diesel engine weighs 1080 kg. The interior was revealed earlier today in a teaser. Sufficient details were revealed from the video. 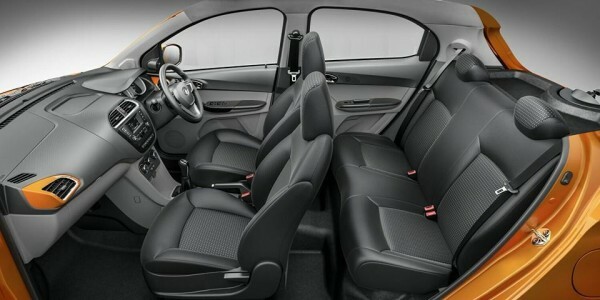 The center console features a ConnectNext infotainment system by Harman specially developed for the Tata Zica. The car also has an 8-speaker music system for better sound quality. The top-end will come with steering mounted controls. The new hatchback will come with some first in class features like cooled glove box, Juke car app, Turn-by-turn navigation using smartphones, etc. Other upmarket features include, all four power windows, vanity mirrors, electronically adjustable ORVM’s, foldable key, etc. The sales of the new Tata Zica will commence in the third week of January 2016. The prices are not revealed yet but it will be safe to expect a starting price near INR 4 lakhs. The Zica is sure to give a tough time to the competitors.